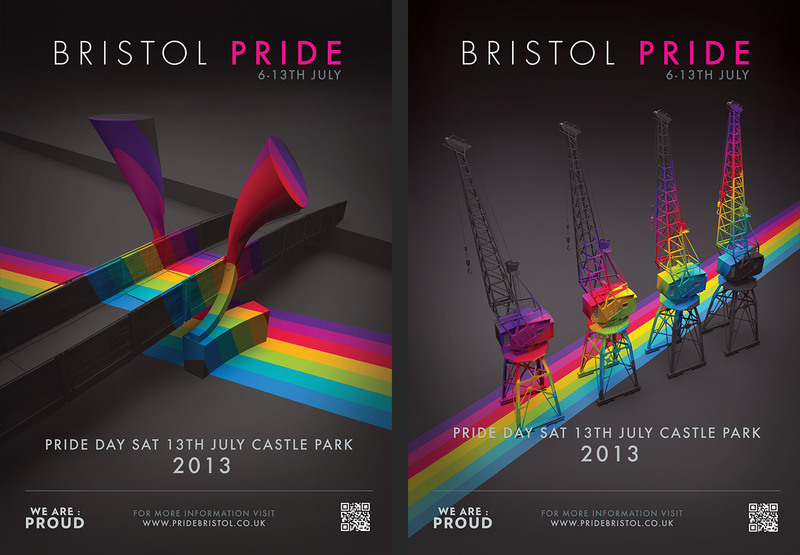 At the start of 2013, I was asked help develop a concept to brand that year's Bristol Pride Festival for 2013. The organisers were running low on funding and ideas for branding that year and asked if I could come up with some ideas fairly quickly and similar in quality to examples they had seen from the previous London Pride event. 3D was my focus at the time so naturally I was eager to use 3D in my first solutions. 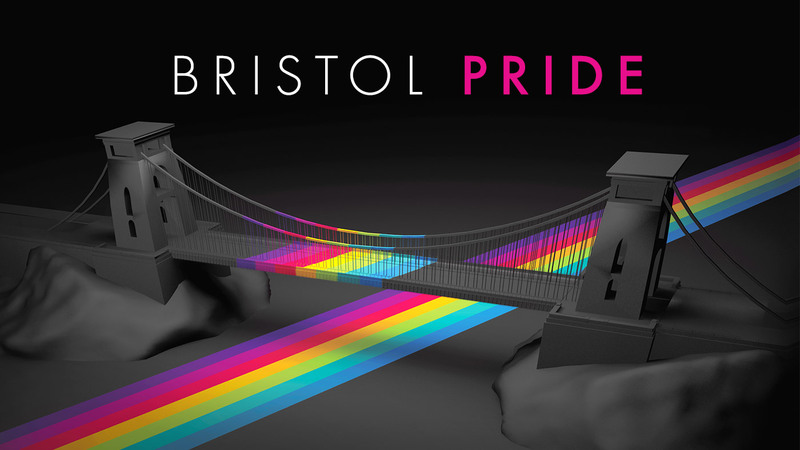 I showed the organisers some test renders of my concept, building well known landmarks in Bristol and painting a rainbow line over them. Quite a basic idea but it said the right message and gave them the opportunity to develop a campaign around different locations. The organisers loved it and I also had many people at the event say the same to me. 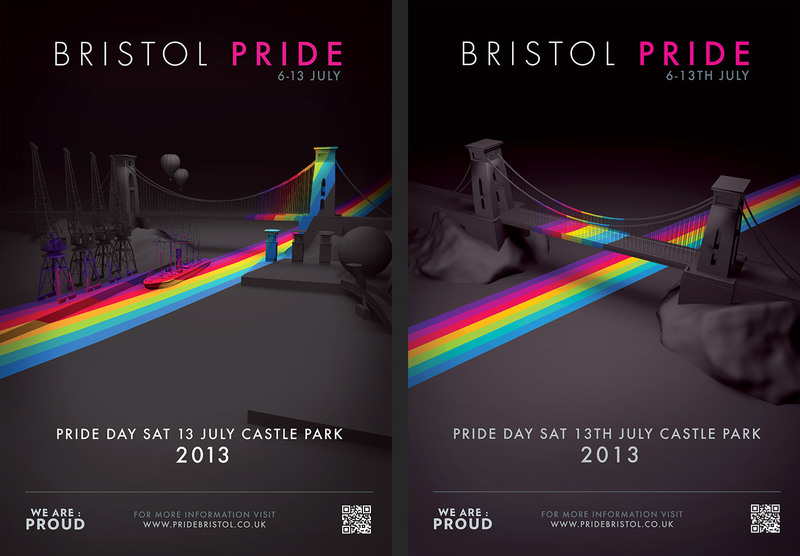 Below are a range of posters I created for the campaign to advertise the festival. If you know Bristol, you should recognise all of these and if you don’t know Bristol, hopefully you’ll at least recognise the suspension bridge. The same concept was used in 2014 and i'm currently developing a new concept for 2015 too. LET'S TALK YOU LIKE? LET'S MAKE SOMETHING TOGETHER!